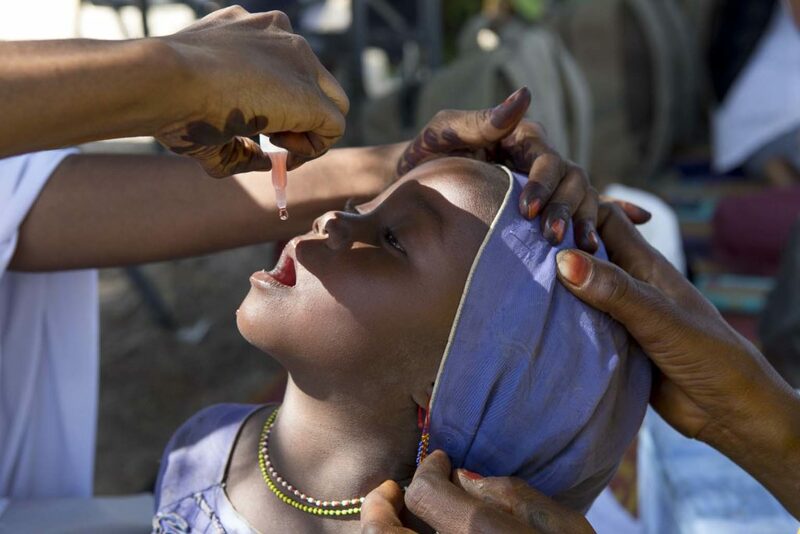 A child in west Africa receives polio vaccine. Photo: WHO. 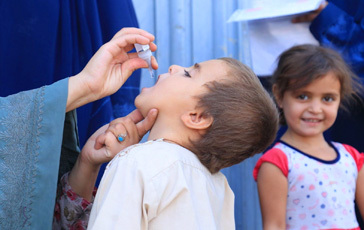 More than 190 000 polio vaccinators in 13 countries across west and central Africa will immunize over 116 million children over the next week, to tackle the last remaining stronghold of polio on the continent. 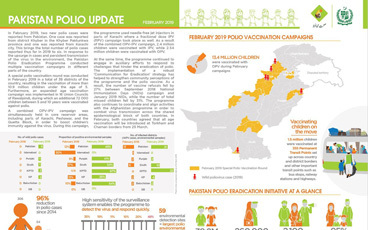 The synchronized vaccination campaign, one of the largest of its kind ever implemented in Africa, is part of urgent measures to permanently stop polio on the continent. All children under five years of age in the 13 countries – Benin, Cameroon, Central African Republic, Chad, Côte d’Ivoire, Democratic Republic of Congo, Guinea, Liberia, Mali, Mauritania, Niger, Nigeria and Sierra Leone – will be simultaneously immunized in a coordinated effort to raise childhood immunity to polio across the continent. In August 2016, four children were paralysed by the disease in security-compromised areas in Borno state, north-eastern Nigeria, widely considered to be the only place on the continent where the virus maintains its grip. Dr Moeti cautioned, however, that progress was fragile, given the epidemic-prone nature of the virus. 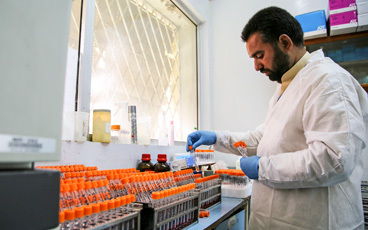 Although confined to a comparatively small region of the continent, experts warned that the virus could easily spread to under-protected areas of neighbouring countries. 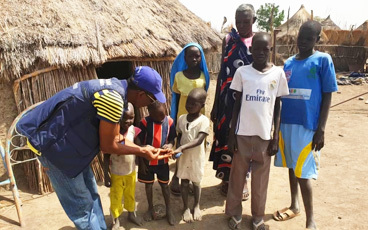 That is why regional public health ministers from five Lake Chad Basin countries – Cameroon, Central African Republic, Chad, Niger and Nigeria – declared the outbreak a regional public health emergency and have committed to multiple synchronized immunization campaigns. 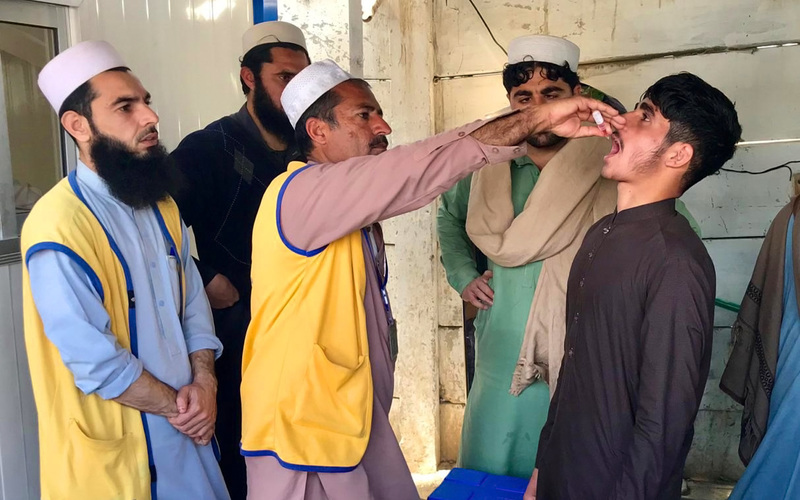 To stop the potentially dangerous spread of the disease as soon as possible, volunteers will deliver bivalent oral polio vaccine (bOPV) to every house across all cities, towns and villages of the 13 countries. To succeed, this army of volunteers and health workers will work up to 12 hours per day, travelling on foot or bicycle, in often stifling humidity and temperatures in excess of 40°C. Each vaccination team will carry the vaccine in special carrier bags, filled with ice packs to ensure the vaccine remains below the required 8°C. The full engagement of political and community leaders at every level – right down to the district – is considered critical to the success of the campaign. It is only through the full participation of this leadership that all sectors of civil society are mobilized to ensure every child is reached.